Having released iPhone cases going back to the original iPhone, Macally has a rich history and a deep knowledge of making protective and decorative cases for the iPhone. They were one of the first companies this time around with a full line of cases for the all-new iPhone 6 Plus. We will be looking at five different models, which come in a variety of colors. First up in the Metallic Snap-On Case. 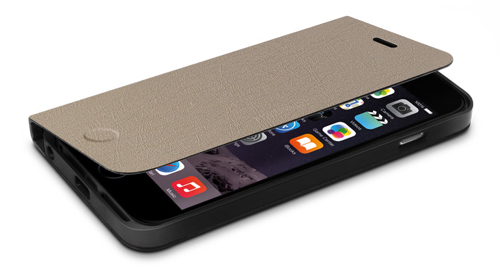 At $8.99, this is a terrific case that does just what the name suggests: snaps on the iPhone 6 Plus. It is very form fitting, does not block the speakers, camera, volume, headphone jack, Lighting port, power button, or mute switch. It also does not add any sort of bulk to the iPhone 6 Plus, which is important for a phone this large. It does a decent job of minimum protection, but this is not the sort of case that will really protect the iPhone 6 Plus from damage. It will protect it from scratches to the back when placing the phone on a hard surface, however, and that’s all I expect from this sort of case. I do take a little umbrage with calling it a “Metallic” case. It’s not metallic at all, but rather a polycarbonate. It does have a metallic-like finish, hence the name. It also solves one of the main complaints people have of the iPhone 6 Plus: the slipperiness. I can personally attest that the iPhone 6 Plus is indeed slippery to hold, and the rubberized feel of the Metallic Snap-On Case fixes that problem without adding any noticeable bulk. It comes in red, blue, gold, purple, and black. Next is the Clear Snap-On case. ($8.99) This is basically the same case as the above Metallic variety, but is clear. Well, mostly. I have used and seen many “clear” cases, and they range from being completely transparent to a light milky. The Macally Clear Snap-On comes in right in the its name/logo on it. I understand that companies want to advertise their products, but a clear case is meant to showcase the product it is protecting, and silk-screening your logo or name on it makes it more tacky and cheap looking. The slippery problem persists with using this case. While not as slippery than without, the clear case does little to alleviate that problem. It does not add much bulk to the iPhone 6 Plus. 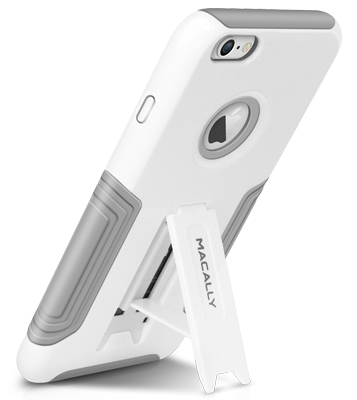 And while I can live with the Macally logo on a clear case, the case itself feels somewhat cheap. You can actually see and feel the seam where the side of the case was put together during manufacturing. Of all the cases in this article, this is the one I like the least. Apple called them Bumpers, but Macally calls them Protective Frame Cases. ($10.99) These come in White and Black, and fit around the side of the iPhone 6 Plus. They work to protect the side of the iPhone 6 Plus without adding much bulk, but do nothing for the front or back of the iPhone. The preformed buttons that cover the iPhone buttons are very stiff and require more pressure to push than I like. Perhaps after weeks of use the plastic button covers will work better, but as is, I have to really push these hard. They feel durable, but they are made of a cheap plastic. They don’t feel like they would last a long time. They come in black and white. The Slim Folio Case and Stand ($16.99) was the case I was most looking forward to reviewing. It looks fantastic in the packaging and on the Macally website. 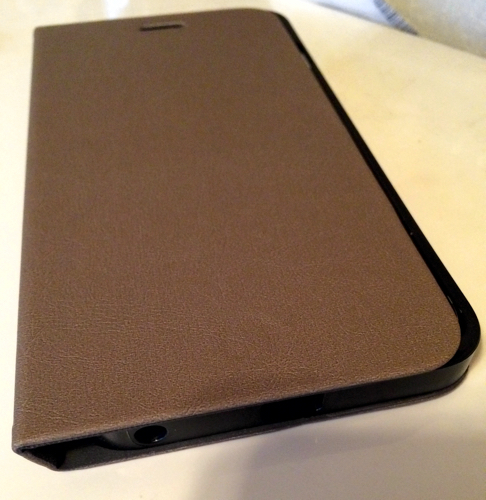 It comes in black and a cream color, feels more like leather, and protects all sides of the iPhone 6 Plus. In use, all ports and buttons are easily accessible. The problem, however, is in the fit and finish. The front cover does not fit correctly. When the front cover/flap is closed, it does not reach the other side very well. There is also nothing to latch it closed, so it flaps open very easily. 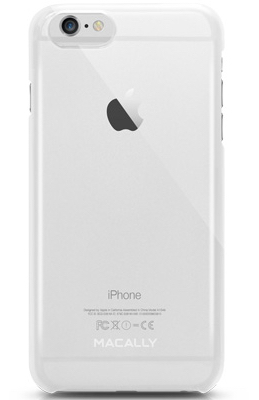 The case itself seems well built, and it is very simple and easy to get the iPhone 6 Plus in and out of the case. This is important because these types of cases prevent a user from using the iPhone in a car cradle, which we all know is very important. The feel is great, and the Slim Folio Case and Stand looks like a great product. The review unit’s construction is huge letdown for me, as I really wanted to like and use this case. The last case is the Hardshell Case with Stand. ($10.99) I will call this the “like an Otterbox” case, as that is the styling Otterbox had popularized starting with the iPhone 3GS. 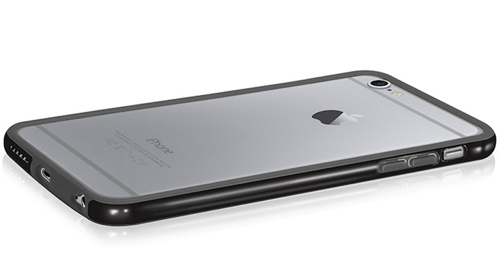 The Hardshell Case with Stand is a big case, adding a lot to the already considerable bulk of the iPhone 6 Plus. It is also very cheaply made, and makes the mute button completely inaccessible. Seriously, you cannot even get to it unless you have the small fingers of a five year old. The Hardshell comes in white/grey and black/grey. The flip stand allows both horizontal and vertical operation. The stand itself is made of very brittle and cheap plastic, and feels like it could snap off very easily. Getting the iPhone 6 Plus in and out is simple, and the rubber makes gripping the iPhone 6 Plus easy. 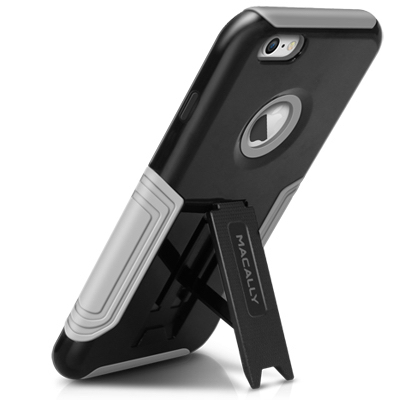 This is a very disappointing product cycle of iPhone 6 Plus cases from Macally. As a company, Macally has been around for a long time, and I expected better from them. None of these cases are expensive, which is one of the few bright spots to be told. Otherwise, I would recommend passing on them all, and look elsewhere for better quality and engineering. The iPhone 6 Plus is not an inexpensive phone, and these cases from Macally do the product an injustice.